When most think of heroes and best friends, ideas may come to mind of a mother, spiritual leader, or athletic role model. Someone you want to model your life after. However, in my case I think of my husband, Mark. Mistakenly, some believe we were blessed with a “silver spoon” life. However, that could not be further from the truth. Each of us has endured tragedy and hardship that may have driven many to say, “I Quit!” But this story is not about me; it is about my husband and how I honor him. Now, let’s really dive in to why my husband not only inspires me, but many people around the globe. These are just a few reasons why I love him to the moon and back! Mark was given up for adoption at birth. We can both relate deeply to the word abandonment. After being adopted he was raised by a young couple who did not have other children. Mark, as he puts it, was a shy but nice guy, sometimes picked on by class mates because he was a little heavy and not a “cool” kid. He was also “Thick around the middle,” as he puts it! We all know how these childhood mental images of ourselves stay with us through our lives. We also know how damaging bullying can be wether it occurs in the life of a male or female child. Self image can be a lifelong endeavor to try and overcome. Mark decided to overcome his weakness. Mark did not allow this weakness to stand in his way. He began to work very hard to climb the athletic ladder! After finishing college he took on the role of pro baseball and moved to Australia. He spent hours upon hours developing his skill and improving his body composition to be at the height of athletic excellence. He played one year in the South Australian baseball league, winning rookie of the year, before returning to Oklahoma. Before starting a family Mark knew he had to have a good job. 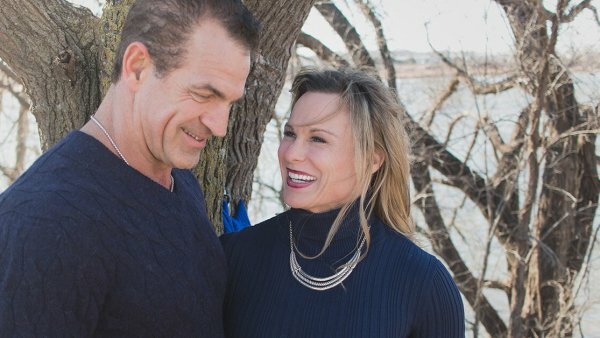 He started with the Tulsa police force where he served 10 years on the “SWAT” team, climbed the ladder to sergeant, and retired after 24 years. Mark is passionate about leading lives to Christ. His passion to lead lives to Christ was born in him by the time he was 8 years old. He picked up the microphone one day at a church service when invited by the pastor and the rest is history. He has spent his life preaching and teaching, evangelizing all over the planet! This includes doing feats of strength with the “Power Team” as well as on his own! It does not matter if Mark is in front of one or a million people, for him their salvation is all that matters. He has suffered some tragic relational issues early in his life but he NEVER has said an ill word about the other parties. He shares his golden jewels with me (and his children that choose to participate) every day. He is a father of principle, a man of his word, and a person with vision. With that vision he puts drive and the persistence to walk out the dream! Every day he strives to be better! If he tells you he will do something, he always does. Mark is not afraid to stand up for what he believes in. He is not afraid to tell a friend that they are about to step off a cliff in an effort to help them avoid the failure! Mark endured a tragic loss. Mark has endured one of the most tragic hardships a man could face: the suicidal loss of his cherished mother. This big, gentle giant walked through that storm with God as his steward and guide. He could have thrown in the towel as a single father with a broken heart, but he chose to stand up for better and continue moving forward. Still his life experience has dealt him some harsh blows (undoing lies about someone is like trying to unring a bell). He stayed the course, with God at the center of his heart, and the clouds cleared one at a time. He never threw negativity down on the table about the situations he dealt with, instead he stayed steadfast in the Word. Yes, scars remain, yet this gentle giant is still honest, tender and always kind! I honor Mark for how he treats me. Mark is a man who knows how to treat a woman! He always opens the doors for me, carries my bags, sends me flowers every week, caresses my soul with kind words. He helps me heal the wounds of my broken past. He is always consistent, disciplined and won’t ask you to do anything that he is not willing to do. Most of all he has his priorities right: God first, Family next, work and so on. Not a day goes by that we don’t open the day and close the day in prayer. God remains our great counsel by his lead. I am blessed to honor him as my husband, have him by my side to set the example for what a solid God centered Marriage should be. We are proud to model what the Lord has given us. It was an answer to prayer. The anointing that he has on his life burns deep inside of him every day. Not a day goes by that he is not questioning whether or not he is serving the Lord with his utmost. Many obstacles have been placed in his way, yet Mark has never given up a fight! He now helps me run a wellness based medical clinic, Functional Medical Institute, and continues to spread the word of health and wellness across the country with our #1 best seller “The Quest for Wellness“. Dr. Mark exemplifies extraordinary character. Thanks be to God and my encourager Mark Sherwood, we make a great team. His passionate and pure heart—his inner character—truly defines who he is and what he’s about. And I get to spend my life with him. How fortunate and blessed I am. There is another subtle reason I wrote this blog – it is because women need to choose a man that has his priorities straight and knows how to treat a lady. Don’t just settle because you are lonely. That really creates lonely street and empty life! Anyway, Mark, or Dr. Mark as he is known to many, is more than just a handsome face. He is a warrior who will not quit. That is why HE is my hero and best friend.